MyDentist is the UK's largest provider of dental care with over 8 million patients and 675 practices nationwide. They provide a mix of NHS and private treatment and are at the forefront of innovation in Dentistry. 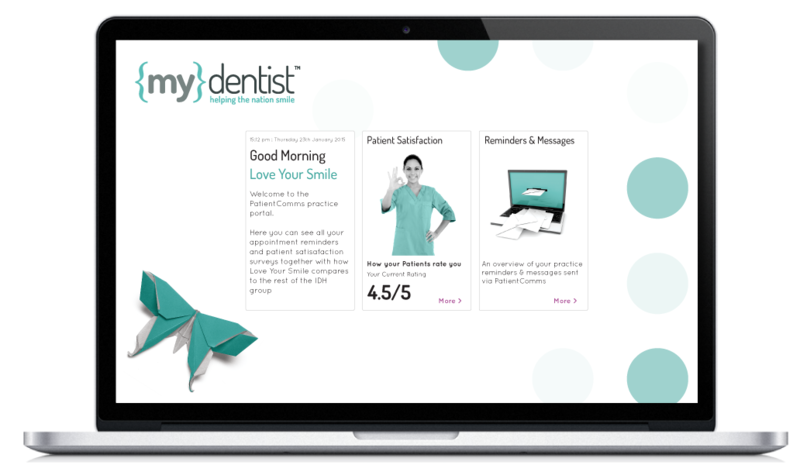 MyDentist approached us to create an online patient communication and appointment booking platform to reduce costs and improve patient choice and engagement. The system needed to send high volumes of automated appointment reminders, recalls, feedback surveys and marketing messages via SMS, email and hybrid mail. 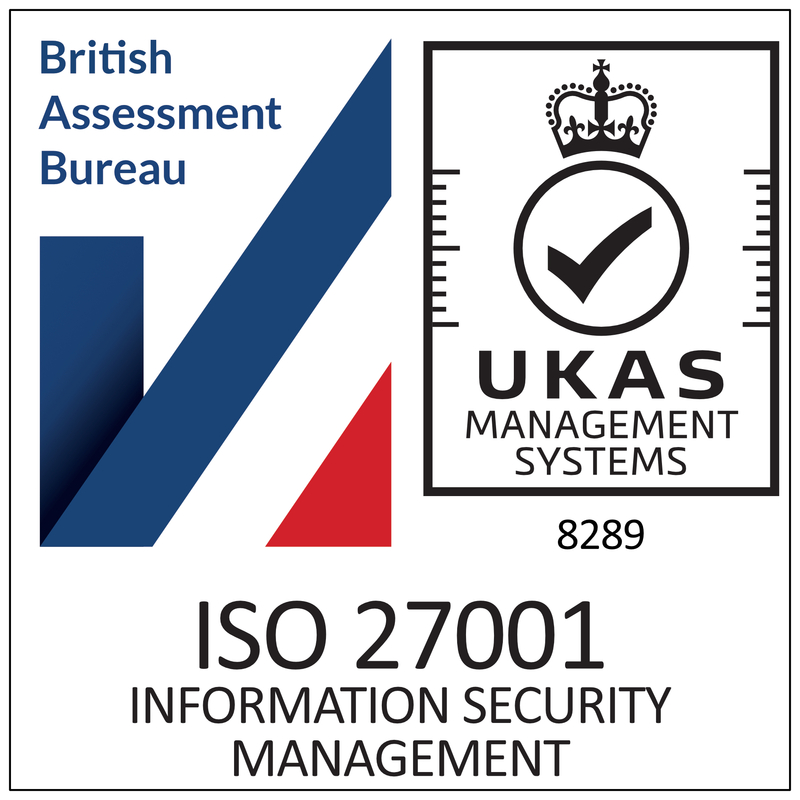 Over a thousand staff had to be able to access the system simultaneously with different views and access levels. The platform needed to be capable of sending tens of millions of communications across multiple channels each year. No pressure then! We worked closely with multiple stakeholders to clearly define their requirements and then built a secure cloud-based .NET application that integrates seamlessly with their practice management software. 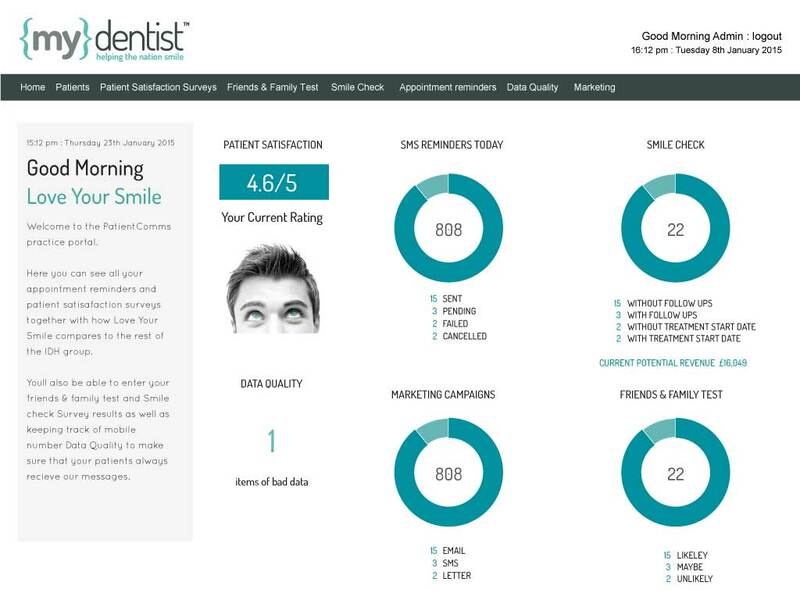 It allows MyDentist staff to manage every aspect of each type of communication from message templates and marketing campaigns to viewing real-time feedback scores and comments, monitoring campaign effectiveness and managing daily tasks. The 'PatientComms' platform has generated huge cost and efficiency savings as well driving impressive revenue growth from private and specialist treatments. We continue to develop and support the platform for MyDentist. PatientComms has since been rolled out to over 2000 dentists.